What are the core beliefs or principles of modern procurement? Whether you are a manager running a department or a salesperson selling into an organization you need to know them. They impact on selling as much as buying. In this insight we will share with you some of the rules, focus and ethos of buying in large organizations. Are You Trying To Break The Un-Breakable Rules? A clear set of unbreakable rules for buying is emerging. They are the central tenets of procurement best practice. You probably have not read of these rules anywhere else, yet you are already coming up against them every day. That is a problem because sellers are setting themselves up for disappointment if they expect their customers and prospects to act counter to these principles, or rules. Yet this is often what happens. Indeed, you probably have tried to break one of these rules today, or at least over the past month. That includes when you presented the buyer with a proposal to spend more (without including any payback model), when you hoped the buyer would not contact other suppliers for quotes, or when you purposefully evaded procurement. Once the preserve of the great (Apple, Samsung etc.) procurment/buying rules are beginning to reach the mainstream. That means if they are not already being embraced by your customers they soon will be. So it is time to become familiar with the rules. In these times managers are required to cut spending, control costs and negotiate hard. This is the era of slashed budgets where the manager’s job is to get more for less and to do more with less. Managers must exercise great care in spending their organization’s money. They must ensure maximum value for money and make their organization’s money go further. Managers must make careful decisions – decisions that are rational, logical, analytical and free from bias. They must be able to justify their purchasing decisions in the face of scrutiny. Managers cannot simply buy what they want, when they want. They must follow the rules – the organization’s buying processes and procedures. The required steps, information gathering, analysis and paperwork must be completed. Always ensure a competitive tender. Alternative suppliers should compete on price and other terms. The manager must be able to demonstrate that the most economically advantageous tender was selected from among competing quotes. Managers must consult with and involve procurement in important buying decisions right from the very start. This is essential to ensure alignment with the broader procurement strategy of the organization and for the category of the products and services in question. Managers must consult with key stakeholders in respect of important buying decisions. In particular there must also be cross functional collaboration, or decision-making. This is essential to leveraging internal knowledge and expertise, ensuring successful user adoption/compliance and ensuring cross functional alignment. Managers must manage, rather than be managed by; their suppliers. That requires formally reviewing supplier performance and contract compliance on an ongoing basis and systematically addressing any performance gaps. While managers should maintain some distance from suppliers, they should work closely with strategic suppliers as a source of improved efficiency and innovation. Aggregate spend across different parts of the business and different suppliers so as to leverage volume and reduce cost. The goal is to have fewer better suppliers. Managers should strive to consolidate both purchases and suppliers. Only buy from approved vendors. Standardize specifications and reduce the level of SKU variety in what is purchased. Dependence on key suppliers must be managed. That includes exposure to the failure of a supplier to deliver on time and to the required quality levels. Supplier risk must be assessed, mitigated and managed. That includes second and third tier suppliers, as well as raw materials, or ingredients suppliers. Managers must ‘close the loop’ in terms of reviewing results against those forecast for major projects and purchases. Doing so presents an opportunity to maximize contract compliance, fully realize benefits, and to learn any lessons required. Now you have read the list of 10 commandments, what are the implications for how you sell? 1. See which (if any) of the rules are under threat of being violated. Now the buyer may get away with it, but increasingly deals are becoming unstuck where a key principle of procurement best practice has been violated. 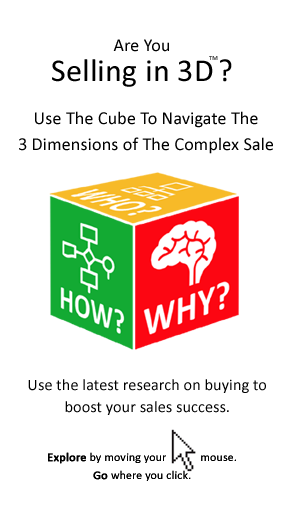 So it is in the seller’s interests to help the buyer adhere to the rules – for example helping the buyer to manage risk, to follow a clear set of steps in making the decision, or encouraging the buyer to engage with procurement. Getting real about the deal by tackling false assumptions (such as those listed above) is key to more accurately forecasting what deals will close and when. 3. How can you get new leverage on the deal? The 10 Commandments isn’t just a list of rules for buying, it is also a charter for deal success. Just as violating any of the rules can stall a decision, adhering to the rules can advance it. For example the seller can help the buyer to manage risk (Commandment 8), show savings (Commandment 1) or engage stakeholders (Commandment 6) – all with the potential to help the buyer to more confidently make a decision and to get the deal/purchase sanctioned internally. You could think of the above rules as the 10 habits of highly effective procurement organizations. They are the rules that you would put in place if you ran a large organization – in the role of CEO and CFO. Today these are the rules of procurement, it’s very DNA. But as procurement’s influence is spreading, they are becoming the ethos of an organization, not just a department, or function. They are a way of doing business. They tell of the organization’s discipline, professionalism, sophistication with respect to procurement, but more besides. The Commandments are not merely reflective of best practice in respect of procurement, but good corporate governance generally. The commandments provide a cue to the organization, its management and its strategy. 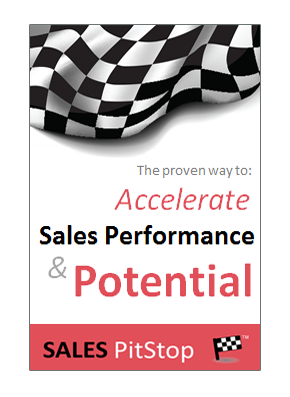 Moreover they help the salesperson to better understand and predict the buyer’s behaviour. The challenge that the Commandments present to sellers are profound. Many of them are diametrically opposed to the ethos of traditional selling. It is not how we want our customers to buy, however it is increasingly the reality. Take for example ‘Spend Less’ and ‘Get Competing Quotes’. However, expecting manager-buyers in large organizations to act counter to their best interests and counter to basic best practice in respect of how they spend their organization’s money is futile. By acknowledging the new rules of buying sellers can prevent shocks and surprises and make another step towards helping the buyer to buy.